Running a 21st century hotel requires processing a staggering amount of data, including rates, types of rooms, booking details and the competition’s activity on booking portals. The growing importance of the Internet forces hotel operators to search for tools that will help them manage the massive flow of data and analyze it with the aim of making key business decisions. Due to a rapid development of the Internet the hotel industry, just like any other industry in the world – has been undergoing some big changes. The World Wide Web holds a gigantic amount of data with terabytes of information flowing among servers. The development of Internet shopping, social media, tourist websites, etc. requires data to be arranged in ways that will allow the businesses to grow further. This is where big data comes in. Big data – what exactly is it and how can it apply to your business? It is a concept used to define enormous collections of data that are hard to process and analyze, but further information leading to new business opportunities may be extracted from them. Using user data makes it possible to carry out successful advertising on the Internet. Tracking the behavior of users visiting hotel websites provides information on what exactly they are interested in. This allows hoteliers to carry out personalized advertising campaigns, both through email, as well as through displaying banners, for example using Google’s advertising network. Big data informs hoteliers on the number of prospective guests who visit the website through smartphones and traditional computers. It is big data that makes it possible to form target groups used in Google Adwords and Facebook campaigns. There are currently several thousand websites through which hotels sell their services. Some of them are large and well-known, such as Booking.com and Expedia, but there are also numerous small local OTAs and those that offer only a selection of hotel services, e.g. wedding receptions. Hotels currently rent their rooms through an average of 5-10 OTAs, whereas big hotel chains sometimes use as many as 25 OTAs at once. Effectively managing such a big number of channels, including full sales analyses and competition monitoring, is extremely time-consuming and, at a certain point, becomes a huge burden for hoteliers. This is where professional multichannel selling tools come to your rescue. They centralize all sales in a single account and, thus, hotel operators are not required to log into all of the websites one by one. YieldPlanet’s Channel Manager is one such tool. It uses SaaS technology (which means that you are not required to install it on your computer) and because it is connected to more than 500 most popular OTAs, GDS, wholesalers, etc. it provides you with a wide range of distribution channels to choose from. Channel Manager is also integrated with most popular PMS systems and, therefore, provides a trouble-free and quick transfer of data from partner websites to the hotel’s website. Central processing of large amounts of data, and in the case of tools meant to manage room reservations this includes mainly rates, restrictions, bookings, types of rooms, etc., become easier thanks to the principles of automatic sales. You only need to define the basic room type and rate plan after which the system will recalculate all of the plans for all types of rooms within a specified time period. This allows you to plan sales months in advance without worrying that your employees will forget to take care of it while they are preoccupied with their other duties. Another example is the central allotment function that allows you to manage all bookings and cancellations through an automatic system that updates room availability across all channels. Big data also makes it possible to follow what the competition is doing. A single OTA website hosts offer from thousands of hotels. Each of them has a number of room types and various special offers. Such large amounts of data may only be processed in a short time by using an algorithm. Sales channel management tools are able to monitor the rates of selected hotels in a given time period. Users are provided with a report that will prove helpful in planning short-term sales strategies and making key decisions regarding rates. A revenue manager who is keeping up with the times will use management tools to not only supervise sales channels but also manage rates. The available tools identify and recommend rate strategies that correspond with the hotel’s general strategy based on an in-depth analysis of customer habits. Revenue management systems use big data to analyze historical data, but also forecast rates up to a year in advance. 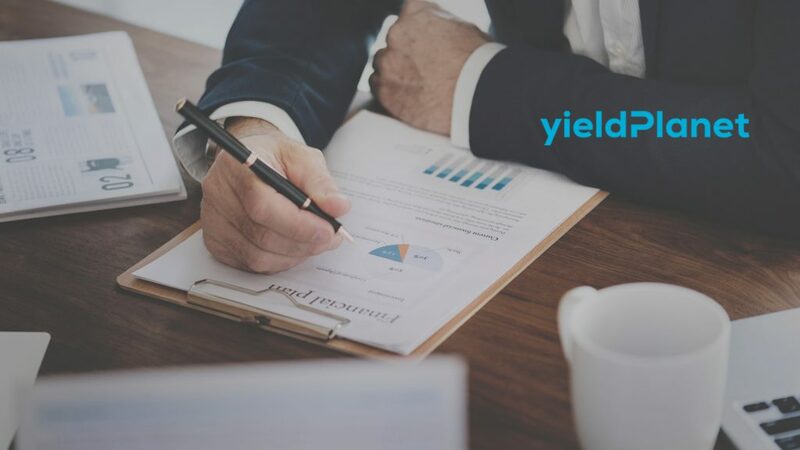 YieldPlanet has recently teamed up with academics from across the world to work on a new rate management tool. This will be a new generation tool using algorithms that mimic the artificial intelligence of a virtual revenue manager. Many would probably wonder why you should invest in such solutions. However, the annual growth of the world hotel market in essence forces you to use increasingly modern tools, which will do complex data analyses for you and streamlinedecision-makingg processes. Are you ready for the new dimension of hotel operations?